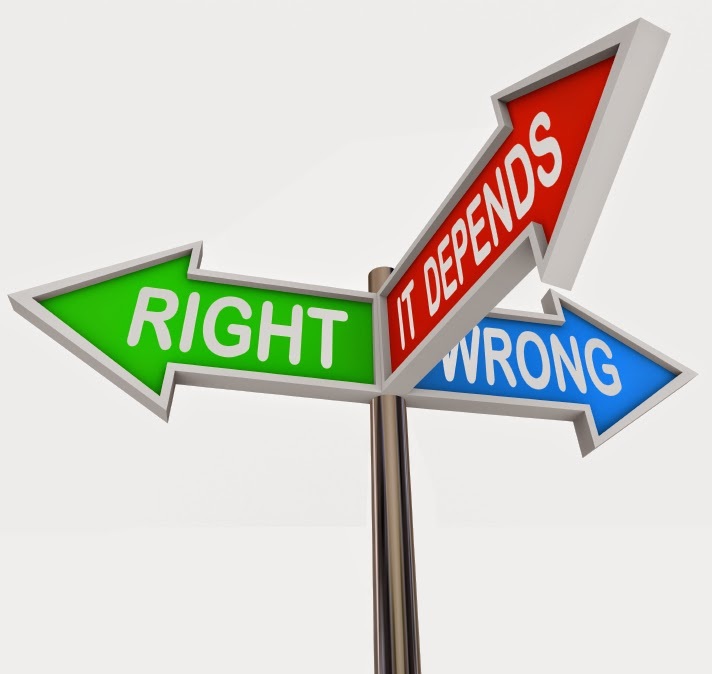 Judy Rodman - All Things Vocal Blog: Is My Vocal Coach Wrong? Is My Vocal Coach Wrong? OK so it happens. Experts disagree. When it comes to vocal technique, how do you know if what you've been told is right? There is more than one way to help you do deal with that vocal issue. There is more than one way to explain the corrective technique, creating the perception that you are getting conflicting advice when you are not. One (or both) the 'experts' are wrong! You are not understanding the technique being suggested, or you're not applying it correctly. This can be a communication problem between you and the vocal coach; be sure to let the coach know you're not getting it so the teacher can try a different approach. Remember... the only dumb question is the one you don't ask! The goals of teacher and student may not be the same. For instance, classical and contemporary training will lead to different ends. Both of you should agree on vocal goals. The techniques suggested do not correct your vocal issues. The techniques cause your voice to feel strained. Don't mistake good vocal stretching for straining. Challenging your voice with good technique will improve your voice, straining can hurt it! Discuss it with him or her. A good teacher welcomes a student's feedback so the right approach/technique can be found. I know I have grown through the years as a vocal coach from the feedback of my students, and the resulting research I did. 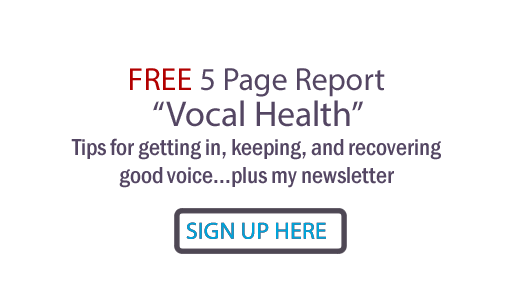 Vocal training is a team sport - your coach needs your input! If it doesn't help to discuss it, you must find another vocal coach. If you can't find a good one in your area, try Skype vocal lessons. Your vocal ability will increase. It will be easier to sing. Your voice will sound better. You'll start to get more positive feedback from listeners. Your vocal issues and limitations should diminish. As long as you are using correct vocal technique, you should never strain your voice! What about you? Have you ever run into conflicting vocal advice? What did you do about it? Thank you for sharing this, Judy! I've run into "conflicting advice" many times during my vocal career, both as a student and as a teacher. This is a great reminder for students to ask questions when things are unclear, or if they feel that a technique is not working. Likewise, teachers need to remember to ask their students to explain new techniques *back to them* -- I've found this to be a great way to test if communication is clear. As the old (and kind of awful) saying goes, "There's more than one way to skin a cat." As long as vocalists listen to their sound and pay attention to physical feedback, they'll find many ways to produce healthy, beautiful sounds. Sara.. so happy to see your comment here! Yes, I've found your tactic of asking students to explain something back. I've also asked them what THEY would tell themselves to be able to repeat a technique they just did correctly. AND... funny, I almost added that very phrase about the cat, haha! Thanks for adding your thoughts! I'm not sure if this fits here... I just got told that my voice is too pretty/clean for singing 'true' country music. My voice is too much in tune, I am too 'trained', which sounds 'unreal/Fake'. At least that is what I got told. I don't understand that this person hires bad singers with no technique and then tells me, I am too good. It's a bit frustrating and does not make any sense. People keep telling me they get goosebumps when I sing, so it looks like my 'too clean' voice does reach them. Any ideas? First of all, 'true country music' is in the ear of the beholder. Are they talking about bluegrass, traditionalists like Emmy Lou or Loretta, soft voices like Allison Krauss, hard hitters like Gretchen Wilson? Or the 'true country music' females that are winning ACM and CMA awards, which are as diverse as Carrie Underwood to the girls in "Little Big Town"? And then there's Kasey Musgraves. Hmm. Here's the thing, what matters is what you are communicating with your voice (not just 'I'm a great singer, didn't I hit that note dead on?!" . If you are communicating messages that reach the heart of the object of the lyric, you win. If however you've bought into the 'sing good' goal instead of the 'make somebody understand something at an emotional level', you might do well to have a short vocal lesson:) Questions to ask yourself include 'who are the people who are telling me they get goosebumps?' In fact, ask one of those people WHY they are getting goosebumps... are you in American Idol extreme singing mode and they are awed by your power or are you in artist mode and they are awed by your songs and the way you make them real? IN the end always remember... everybody's got an opinion. Always consider the source:) My very best wishes to you! Great concept and Very nice unique post. I really glad to found you. I recommend this page to my all friends. Thanks. Thank you... always good to hear from another vocal coach, Sally! Very nice blog.. It is good to read these kind of blogs as one can decide what is wrong and what is perfect in his / her vocal coach as he is the only one he will guide aspiring singers to become good one and to achieve their vocal lesson goals.